Please, don't touch the screen. : Are there 2 different revisions of Yaris Hybrid? When I received my Yaris Hybrid, one the first things I checked was the 12V battery jump start procedure. 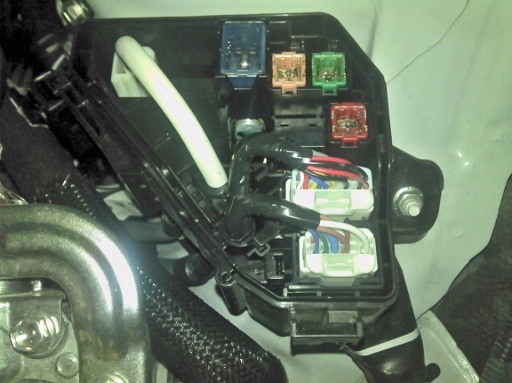 The manual clearly states that you need to access the battery located under the back seat and attach the jumper cables there. 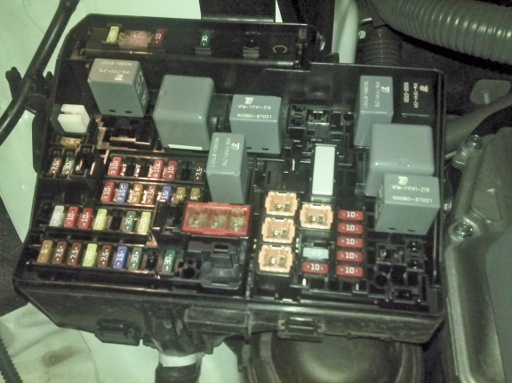 It seems that new cars delivered in 2013 undergone a review of the fuse box. They have a positive battery terminal where a jumper clamp can be attached, so you don't have to access the back seats. The old ones seem to miss that terminal. The car manual has been changed as well.